I was surprised at the public interest in the six photos I showed from the "Children of Craig-y-nos" project in my recent exhibition in Scion House- Stirling University Innovation Park. I only put them in as an after thought ( Malcolm's suggestion). 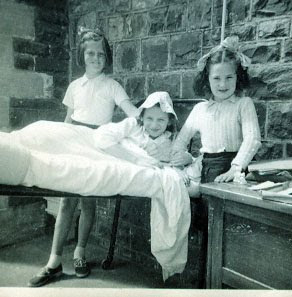 I didnt think anybody would be interested because the work is so deeply rooted in Wales and Welsh medical history. But I was wrong. Everyone I spoke to who looked at them were able to tell me of their own personal stories , dark tales from the past where they had relatives who had this disease that was not spoken about.